I got my V3 hardware and got it working a few days ago. It's pretty slick. I need to find a good place to mount the hardware and antenna. They only added support a few months ago so there's still some bugs. It doesn't currently detect the car is charging, although I can see the SOC going up over time. Items like SoH of the battery could work too. I have the version 2 hardware. Let us know when they get more features on the v3 hardware working the the I-MiEV. John - 2012 Silver i-MiEV SE model, Jan 19th, 2012 w/OpenEvse, caniOn,& OVMS. jjlink wrote: I have the version 2 hardware. Let us know when they get more features on the v3 hardware working the the I-MiEV. I never used V2 but V3 seems easier to use given that it can update itself automatically. I couldn't find more info on the car's CAN bus, beyond what's currently being monitored. Canion tracks much more detail but the basic categories on the battery, charging and temperatures seem to be covered. Not even sure if it's possible or safe to write data to do things like trigger preheating etc. Only available on local WiFi but can technically be available in the app. I can check them via SMS although it's not very readable. 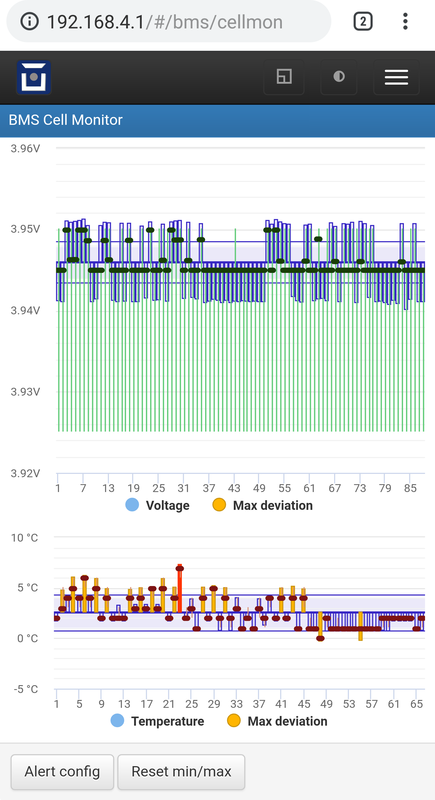 Can also set up alerts for cell temperatures/voltage although this slammed my phone with alerts by default as there is a big gap in cell temperatures during charging. Which more details you missed from OVMS? SOH set now in Trio/Settings on web interface, to calibrate ideal range. I see you use my code. The first is charge detection. (in my city does not have a working DC charger), i think now works great. Now i want to add some feature to code. Is there an update on your NAS? I can't seem to download it. I can test charge detection. I've seen the SoH setting and the energy used by the heater which is very useful. I haven't seen any of the other metrics show any data. A trip odometer with energy calculations would be very useful as I get a daily email with a spreadsheet of all the metrics. I'm looking at the coffee for the iOS and Android apps to see how to add this to the interface. Yes, latest version on the NAS. Now i see some 12V Battery Critical message while driving. I downloaded the new firmware. I'll give it a try. I just ordered the v3.1 OVMS hardware, so in the near future I can test as well.